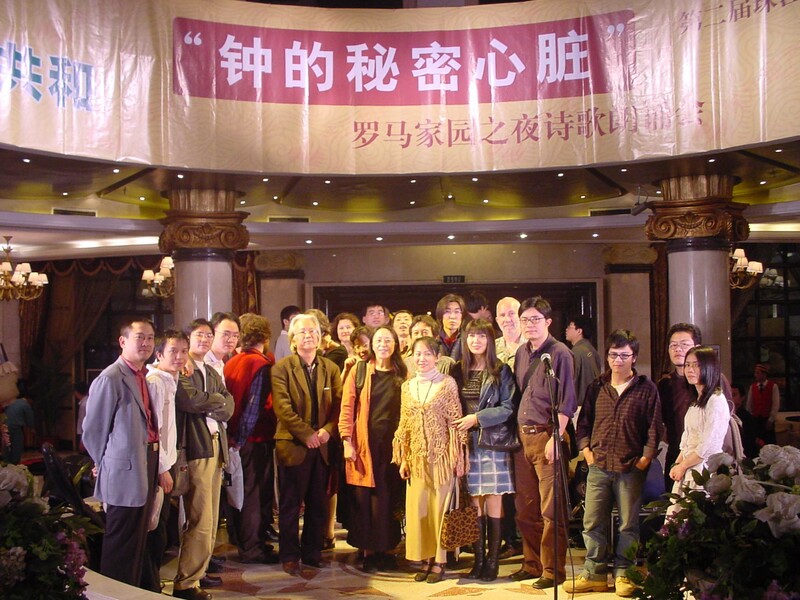 Poetry translations are by Zheng Danyi, Shirley Lee, Martin Alexander and Luo Hui. and bed after bed piled up with seed, nourishes lovers. but the dull-witted sea knows only the swell. Tonight there is peace and here, no pretence. Tonight the doors of the church are shut. all the eyes that watched us watch each other now. Jesus holds me in your arms tonight. Tonight is the night of our divorce. and the valley breeding terrible sunlight. washing their feet with laughter. drinking from the bright red stream at the picnic. Noon – the stream secreted by the blind. They couldn’t see the travellers in the poem lying naked in their hotel beds. Without having to fall, they were swallowed by the avalanche. cannot reach and our feet ache. to drink that age-old sadness. My heart takes after you alone. by the sight of the blood, that was you! You awoke me to hear the voices of the world. with the world’s misfortune as my twin. For years I’d forgotten the tears of that night. as it stood between life and death. The dark was possessed by your eyes. How heavy the shadows at the soles of your feet! Unlucky youth, and the crying of alcohol too! and are not your curses enough? all are surprised by this crazy little man. He is the corpse of his future. there’s beauty in dangerous things. head lowered, answering the Emperor. A mirror always waits for her. plum blossoms fall and cover the southern mountain. She counts the freckles on my neck.